Paws Awhile: Earthquakes - Yes, It's A Place! 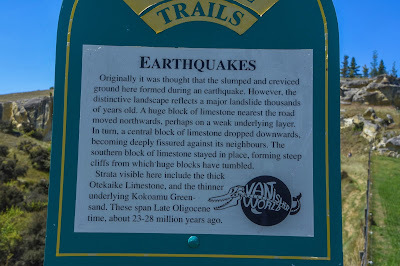 When I heard there was a place named ‘Earthquakes’, I just had to go and have a look. Turns out it’s not a town as such – it’s a geological site. 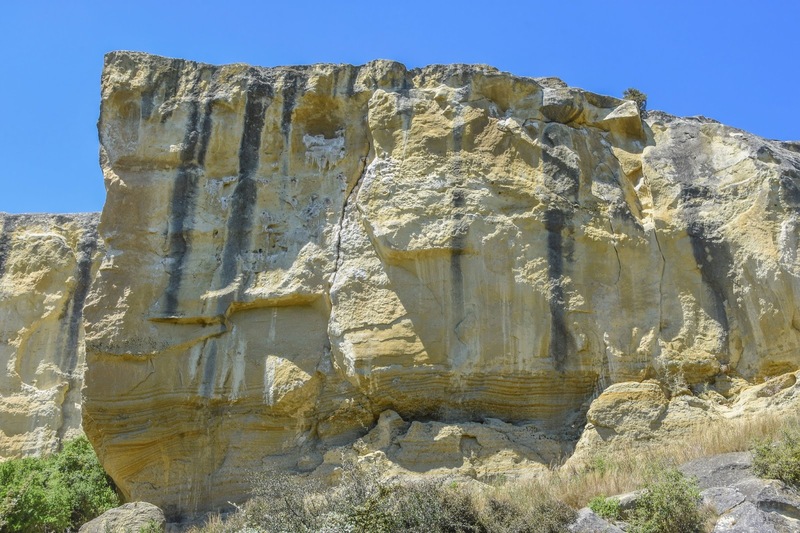 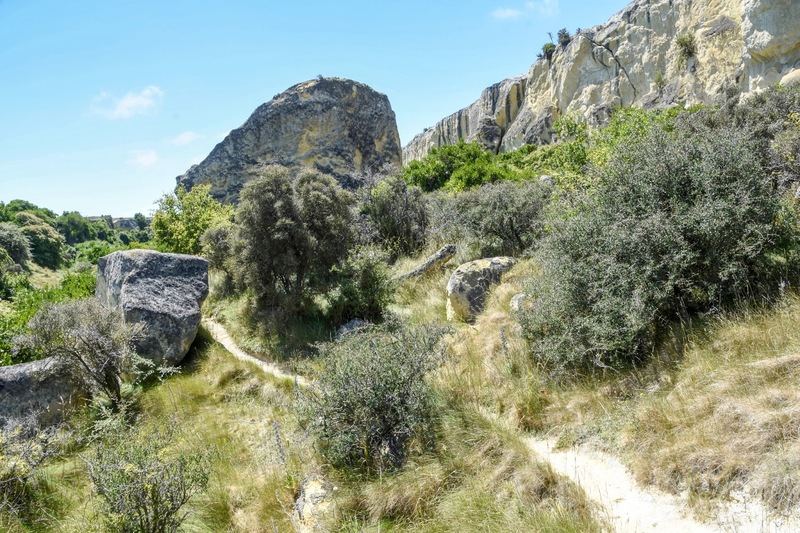 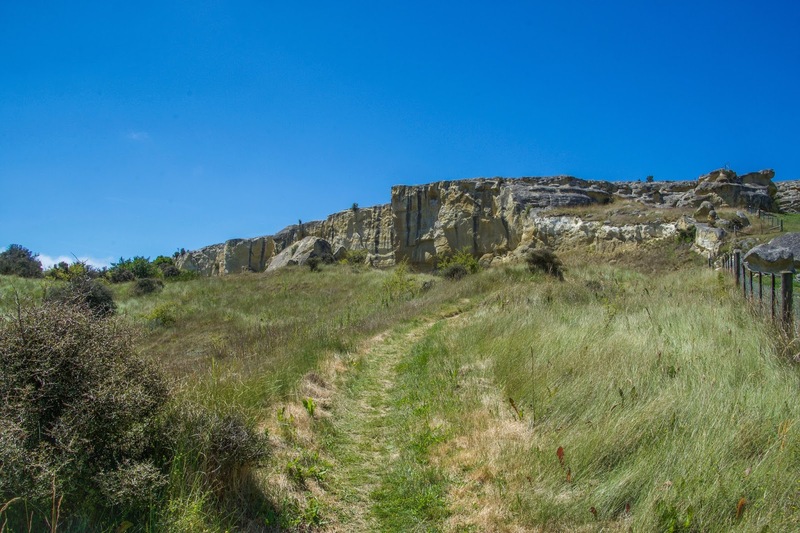 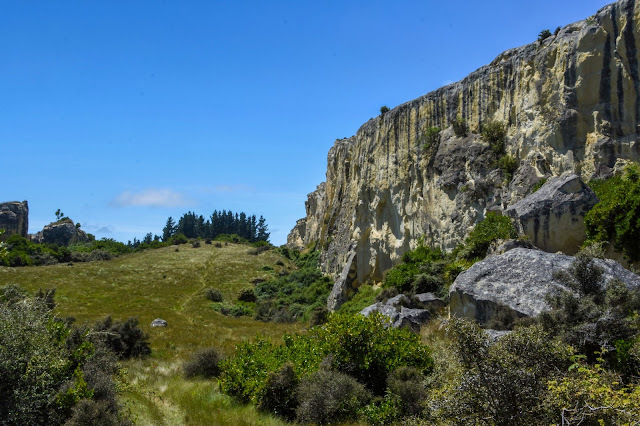 The cliffs were once thought to have risen up from the ground as a result of an earthquake but in actual fact the land had slumped thousands or perhaps millions of years ago creating huge cliffs. You might be wondering where it is? 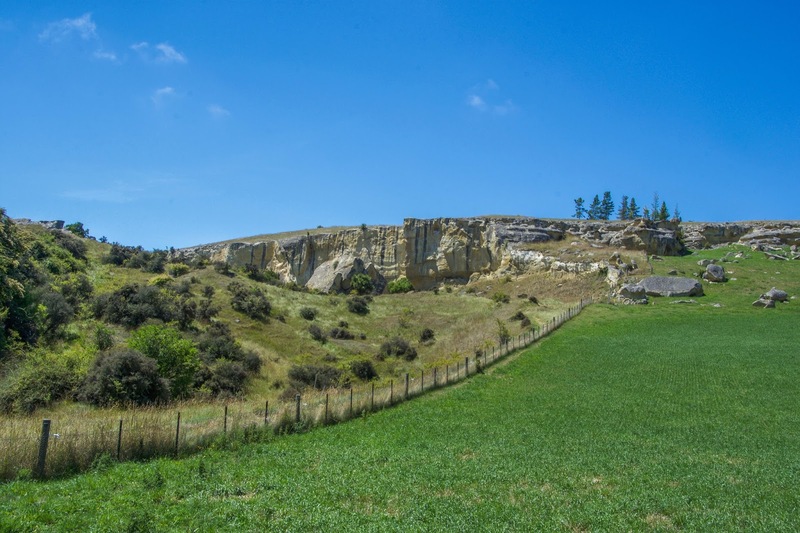 It's in the Waitaki Valley, between Kurow and Oamaru. 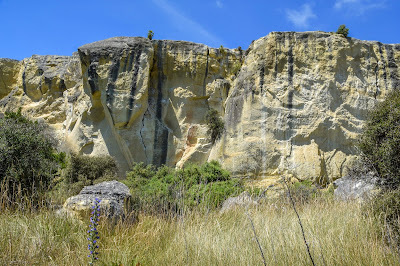 Just west of Duntroon, turn into Earthquakes Road, which runs behind the Oamaru stone church on State Highway 83. 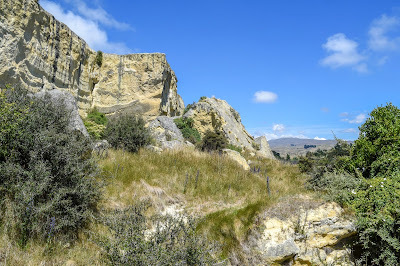 The road is sealed and then becomes a gravel road – but it’s well maintained and it’s an easy and interesting drive through a countryside of strange geological formations. 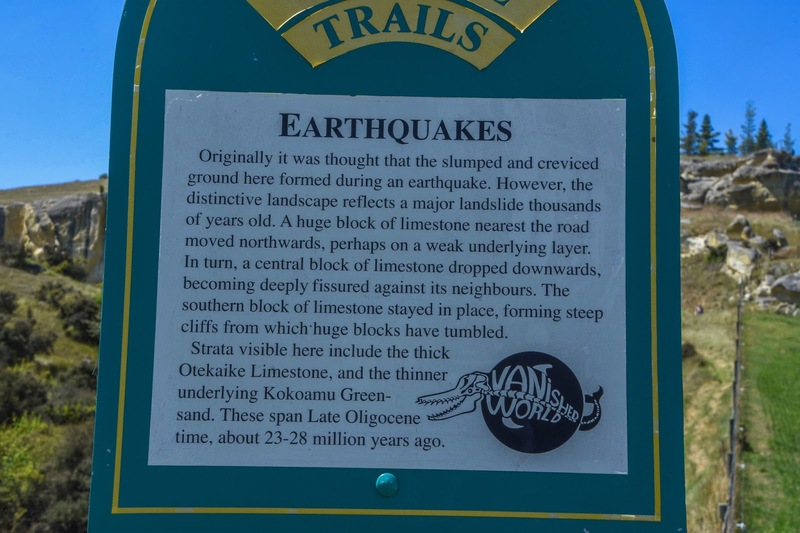 After about three kilometres you’ll spot a sign for ‘Earthquakes’. 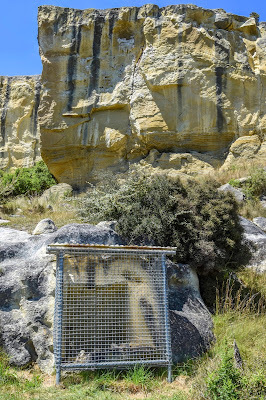 And it's here you'll see the first information board. 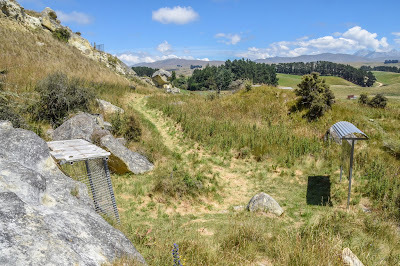 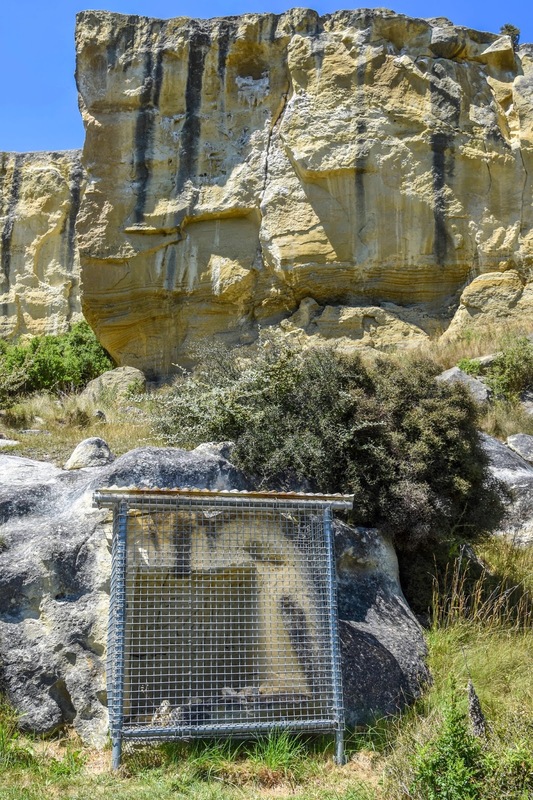 After a short climb up a gentle slope across farmland you’ll come across an information board and a small cage containing fossils of whale-bones. 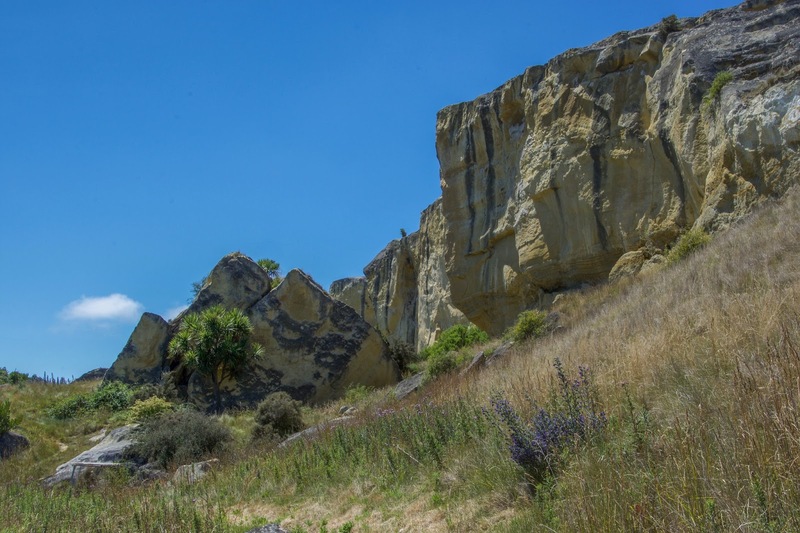 Strange to think the area was once beneath 100 metres of sea water but the fossils are proof that it's true. 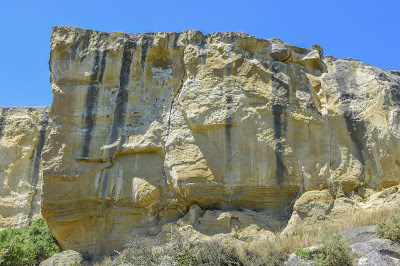 The cliffs are high, huge and interesting looking with their unique, creamy-yellow rocky formations. 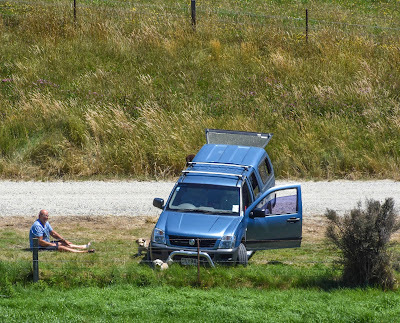 Luckily it was only a short walk and I was only away for about 10 minutes - there was a sign saying 'No Dogs', so Bernie decided to stay back at the ute with them and make some phone calls.